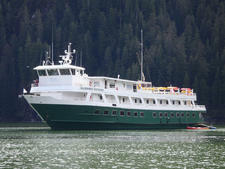 When the Alaskan small ship stalwart Cruise West went bankrupt in 2010, Un-Cruise Adventures saw an opportunity to expand its small-ship fleet. 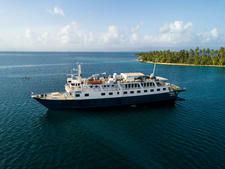 The company, owned by former Cruise West employees Dan Blanchard and Tim Jacox, has picked up several vessels that once belonged to the defunct company, refurbishing them for an expedition style of sailing. Safari Endeavour is one of these. The biggest ship in the Un-Cruise Adventures fleet, the former Spirit of Endeavour has been spruced up, with the passenger capacity reduced from 102 to 86. A high-tech kayak dock has been added to the back, complete with a launching pad that makes it easy for newbies to get in and out. Cabins feature higher-end furnishings, and a few extra gathering spaces, including a resource library where passengers can explore nature-themed books and videos, were created. 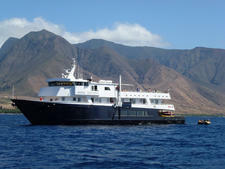 A cruise on Safari Endeavour has a get-out-and-explore vibe. 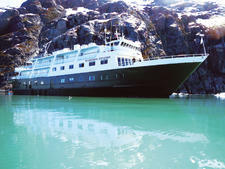 The itineraries, particularly the summer routes, take cruisers into some of Alaska's smaller inlets and fjords. 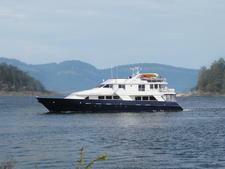 But make no mistake: This vessel is geared to those who want a little more comfort with their adventure. 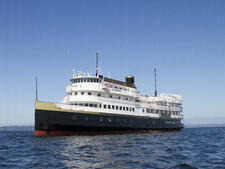 To that end, you'll find passengers enjoying drinks in the glassed-in upper lounge as the ship floats into whale-watching waters, both in Alaska's Inside Passage and in Mexico's Sea of Cortez. Unlike the company's expedition ships, where fleece and jackets hang on hallway hooks and boots sit outside doorways, the corridors on the Safari Endeavour resemble those of a chain hotel, more quiet and sedate. You might find happy hour more crowded than the scheduled hikes, as many travelers come for the intimate atmosphere and up-close views of nature and wildlife that a small ship provides -- rather than to get a workout on land. Yet, those who wish to be active will find no shortage of possibilities. And a Safari Endeavour cruise will likely appeal more to those who are willing to take advantage of all that the ship has to offer. 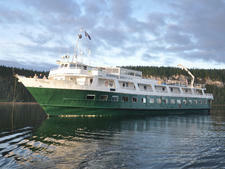 On a small ship cruise, you're paying for unparalleled access to the outdoors. It would be a shame not to take advantage of it. Safari Endeavour is meant for passengers who want a little more luxury. Your fellow cruisers are likely to be less REI and more Nordstrom. Most people onboard choose the ship for its small-ship atmosphere, and they're the types of independent travelers who eschew more traditional cruises. Life on Safari Endeavour is meant to be casual, as befits the emphasis on the natural surroundings. There are no formal nights, and people are encouraged to dress down. That said, most passengers do wear long pants to dinner. Tips can be added to your bill at the end of the cruise, and they are split evenly between the crew. The captain recommended 5 to 10 percent of total cabin cost.